Have you heard about the architectural marvel that has risen out of the sea in Qatar? Chances are that you haven’t because it didn’t exist 8 years ago. Located off the West Bay coast, The Pearl-Qatar is a multibillion-dollar venture which features residential towers, hotels and villas, luxury shopping malls and yacht-lined marinas. It is also home to waterfront walkways, restaurants and cafes that offer something for every taste. 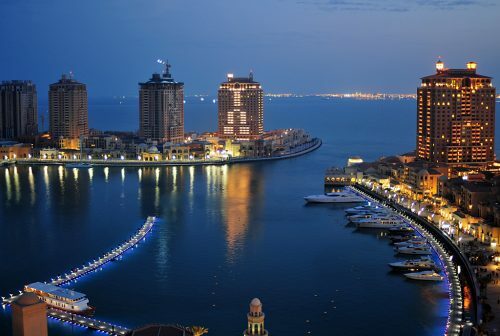 Tuk tuk rides are the perfect way to move from one place to another at Pearl Qatar. Hop onto one of these and soak up the mesmerizing views while exploring the area. You can hail a blue tuk-tuk which is usually parked in the valet parking area daily from 10:00 to 22:00. Open daily between 2 pm and 10 pm, Doha Comics is the latest addition to Qanat Quartier. This premier comic book shop offers a wide range of products from t-shirts to toys. Be sure to check out their Facebook page for more information. Be sure to check out Doha hotel offers before you reserve your stay at a place like Souq Waqif Boutique Hotels by Tivoliwhich offers close proximity to many attractions. Qatar’s latest entertainment centre in town, Megapolis offers an array of activities and games which caters to visitors of all ages. Immerse yourself in a world of thrill and adventure and end your fun-filled day by shopping at the retail store for souvenirs. Previous Post Batu Caves in Kuala Lumpur – Enchanting & Sacred Caves!